This course may also be of interest to graduates with qualifications in non-computer disciplines who wish to pursue training in the area of Information and Communications Technology. This course is designed to give each student a firm foundations in the skills required to work as a computer and network technician. Students are given the opportunity to identify the components of a computer and learn how they work. 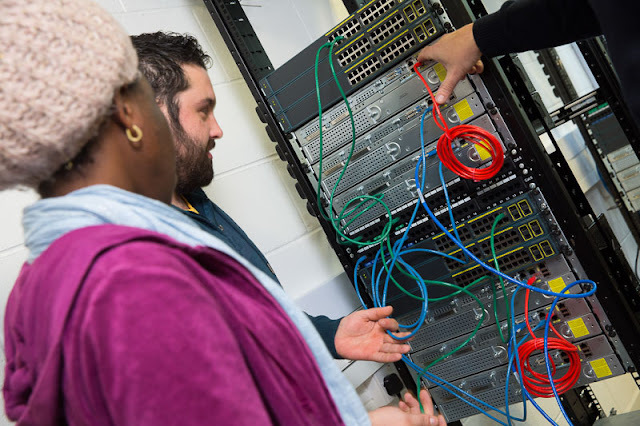 As part of this course students will be required to assemble and disassemble a personal computer (PC), troubleshoot PC hardware and software problems, and build and maintain a peer-to-peer local area network. Throughout the course there is a focus on the development of 'soft skills' such as problem solving, communications and team working. All subjects are taught in a career-focused and interactive way. Students will also be given the opportunity to prepare for and achieve certification in the much sought after Microsoft Technical Associate Networking Fundamentals exam (at no additional cost). If two people with roughly the same background and experience are vying for the same job, the certified person will usually win out. Certification gives an employee the edge. Over the past decade there has been a sharp increase in the demand for IT professionals in Ireland and abroad. Most of the world’s major multinational high tech companies have bases in Ireland. These companies include Amazon, Apple, Dropbox, eBay, Facebook, Google, IBM, Intel, Microsoft, Oracle, PayPal, Salesforce, SAP AG, Symantec and Twitter. These companies, and 1000s of smaller indigenous companies, have a constant need to hire graduates and experienced IT professionals. The Computer and Network Technician courses at Cavan Institute put you on this career path. Jobs for graduates with aa degree in an IT discipline are virtually guaranteed. At Cavan Institute: Students who successfully complete this course meet the entry requirements for both the Computer and Network Technician (Year 2) and Software Development (Year 2) level 6 courses offered at Cavan Institute. Graduates of this course are eligible to apply directly to Cavan Institute to enter Year 1 of the B.Sc. (Level 7 degree) in Computing run in conjunction with Letterkenny Institute of Technology. For more information email computing@cavaninstitute.ie or phone (049) 4332633.